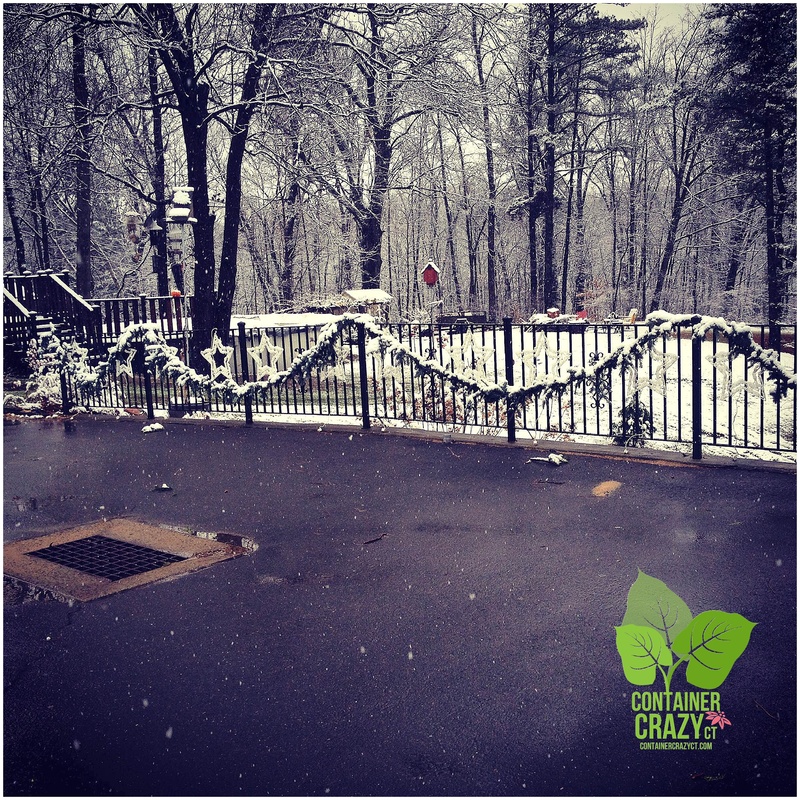 I’ve worked on cold and windy days to install festive holiday container gardens with evergreens and decor this time of the year – but I have to say, yesterday was probably the coldest day ever experienced outdoors while doing so. 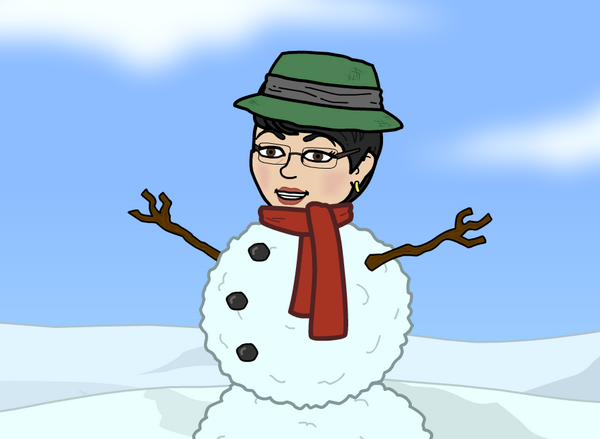 Checking the weather beforehand wasn’t on my list – I knew it was going to rain today, so I thought, I need to get this done first thing on Monday. 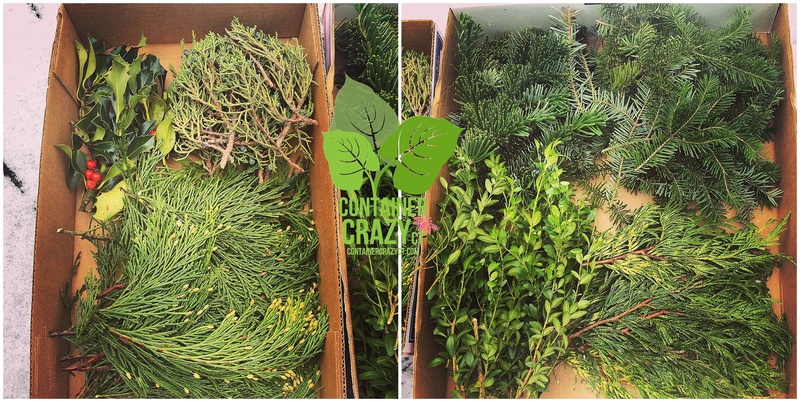 The truck was loaded up with evergreens and decor supplies by sun up. Sometimes, having an early start is nice because all is quiet before shops open up for the day. So off I went. Within the first 45 minutes tho – my hands were frozen. It was much colder than I expected. It was like 22 degrees out! But because I enjoy the process of installing container gardens for the holidays, ignoring the tips of my finger tips getting cold in my not-warm-enough gloves was somewhat easy – at first. 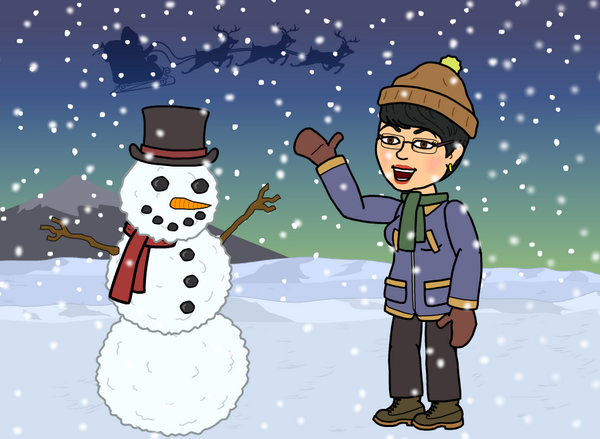 He agreed, indicating this is his favorite container of the seasonal change outs, and how he is looking forward to the holidays. 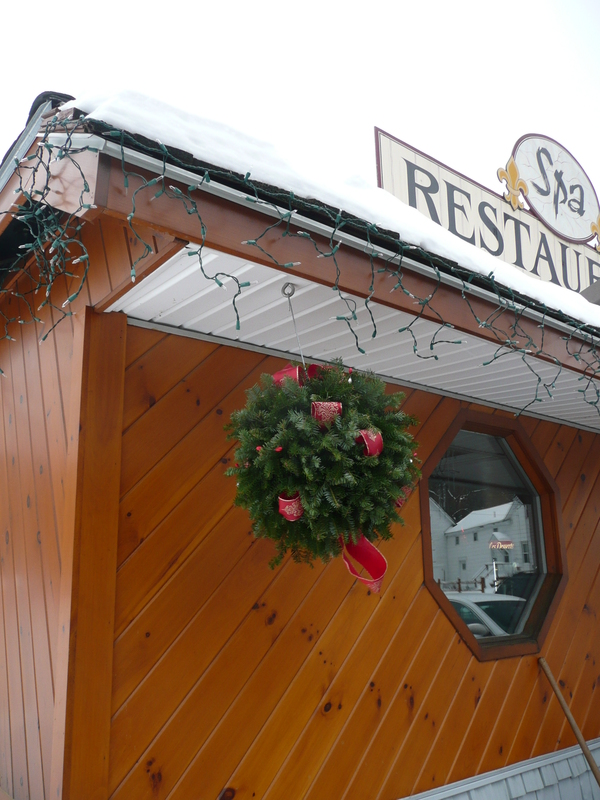 After completing his two big barrels at his store front, I went for a coffee and returned to the house for warmer socks, gloves, a neck warmer, and warmer ski like hat – it was THAT cold out. Back out I went and finished two other jobs, taking a lunch break in between to – yes, warm up again. Luckily – these are local clients – for which I am very thankful for their business. Check them out – The Sweet Spot Bakery in Broad Brook, CT offers freshly baked cupcakes, cakes, and more – and they are yummy. In fact, I had them make a kissing ball cake for my latest class – it was much fun as everyone didn’t realize it was a cake at first. Then there’s the huge and popular package store, Joe’s Fine Wine & Spirits, on Rt 140 in East Windsor, CT. When I looked around at the supply of wine and beer, during my warm up breaks in the store yesterday, I thought – “Gosh, what Leslie and his staff has done for this place is amazing.” They offer a huge selection of wine and beer — and they hold holiday festivities during the year, like wine tastings, and several important fundraising benefits to help raise funds for community efforts. After finishing the decor at Joe’s Fine Wine & Spirits, it was off to a local hairdresser’s shop, next to the new TRX exercise studio, which is another small local business to support. The salon is called Carol Jean’s Hair Salon at 144 North Road, East Windsor, CT. Michelle is a great person and offers local salon services. 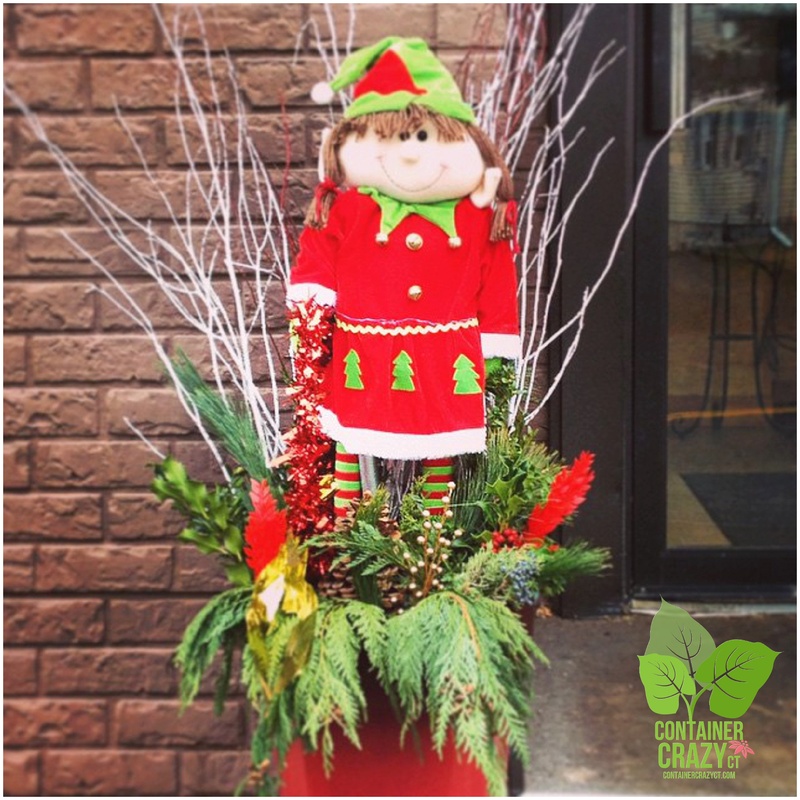 All of these business owners tell me the festive container gardens outside their businesses adds a welcoming environment – and their customers really enjoy seeing them each season, and talking about them with the business owners. 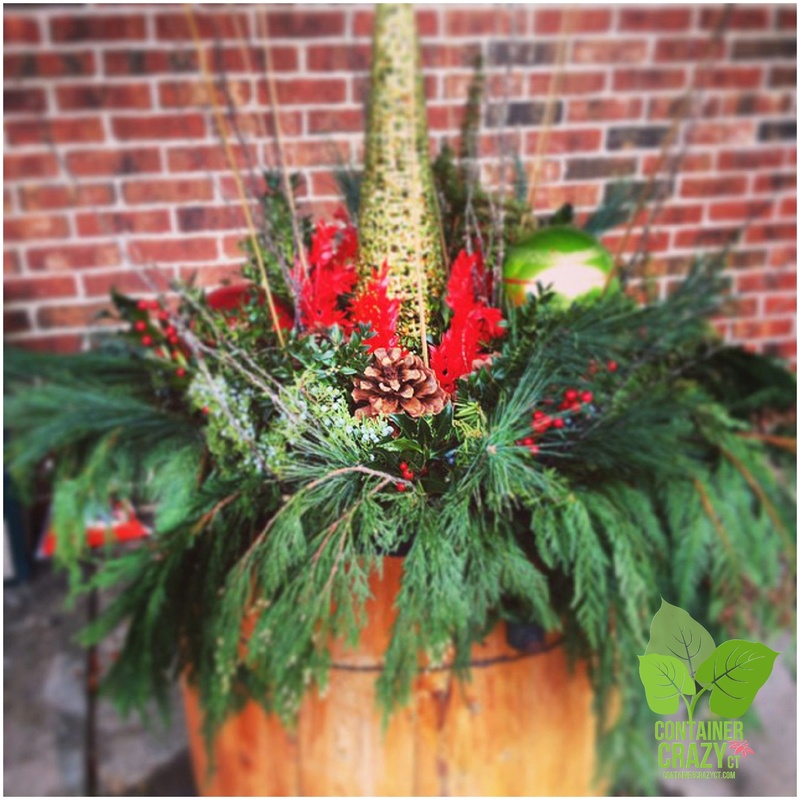 Container Gardens outside of storefronts and businesses lets everyone know – customers are important to their small businesses, and they want to share the holiday happiness too! If you are interested in an install job for container gardens, call me this week while supplies last. 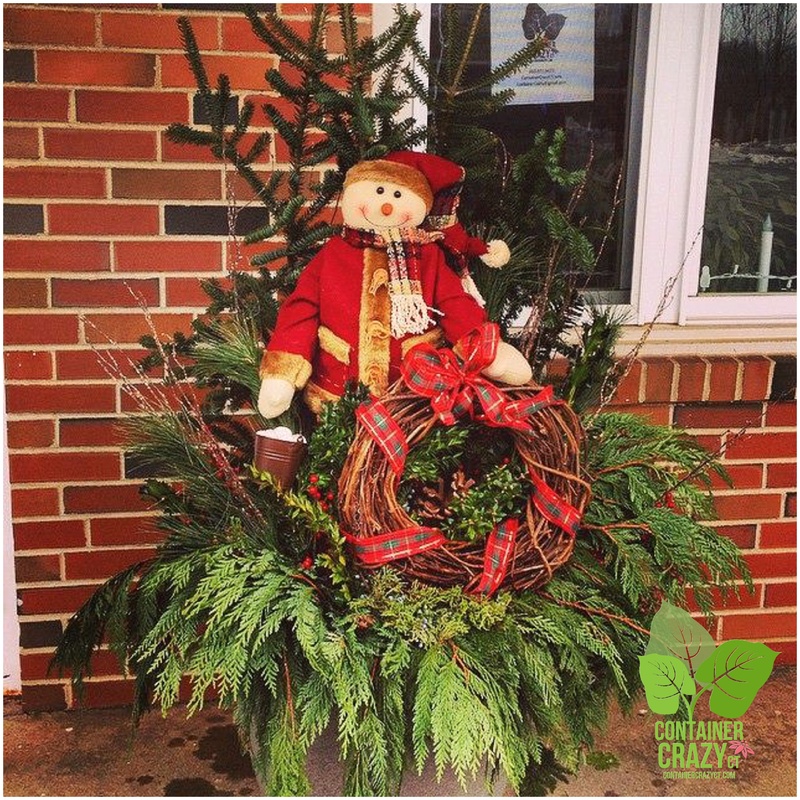 This is the best time of year to dress up your outdoor store front environment, whether it be a container garden stuffed with greens and decor or a holiday kissing ball or wreath hung on your front door. Tis’ the Season!! His and Her’s Elves Grace the Steps of THE SWEET SPOT Bakery in Broad Brook, CT.
And, by the way, I’m super glad I went out yesterday, despite the freezing cold, instead of today. I hear the ice is slick out there today – black ice, my husband warned. 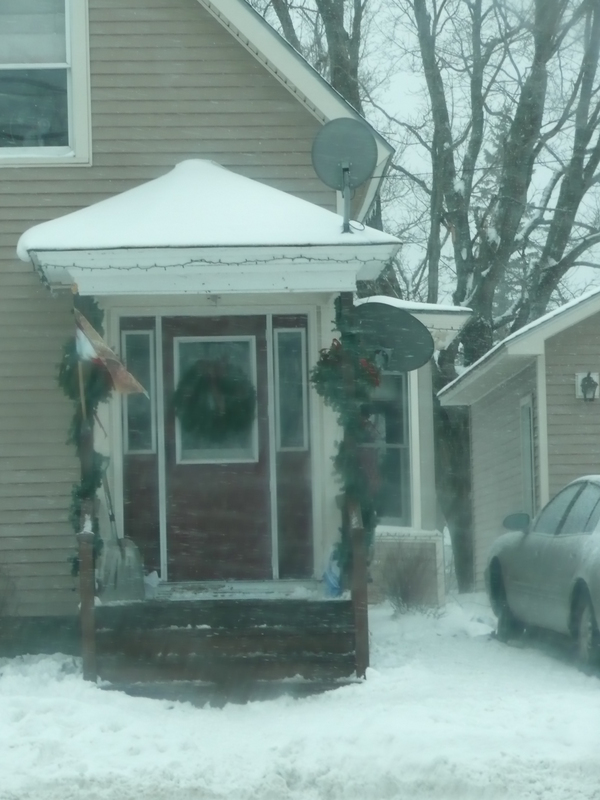 He already e-mailed me from his office to say be careful stepping out on to the driveway today. It is slick. I think I’ll wait for the sun to come out and warm up everything – this time! Hello fellow blog followers, friends, clients, and new visitors! 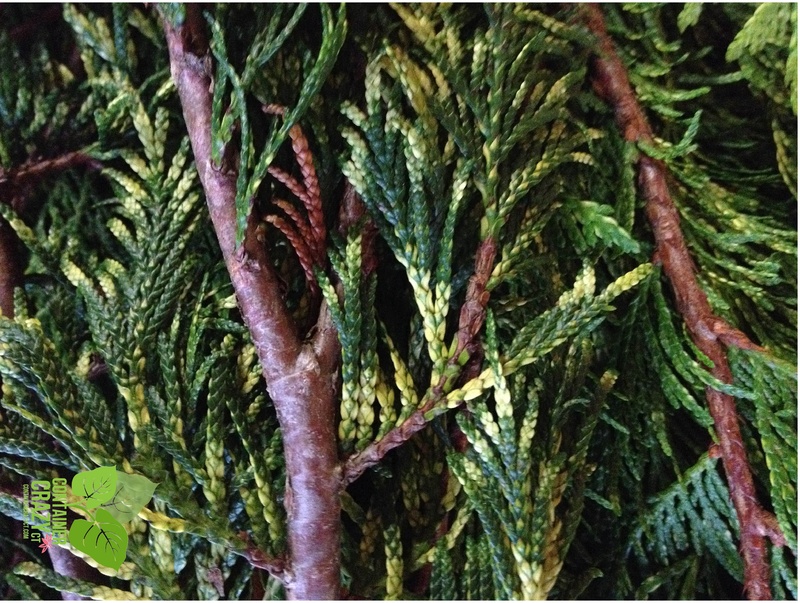 Golden Arborvitae Used in Kissing Balls – A New Variety This Year! It’s hard to believe, but this class has been running for five years now. 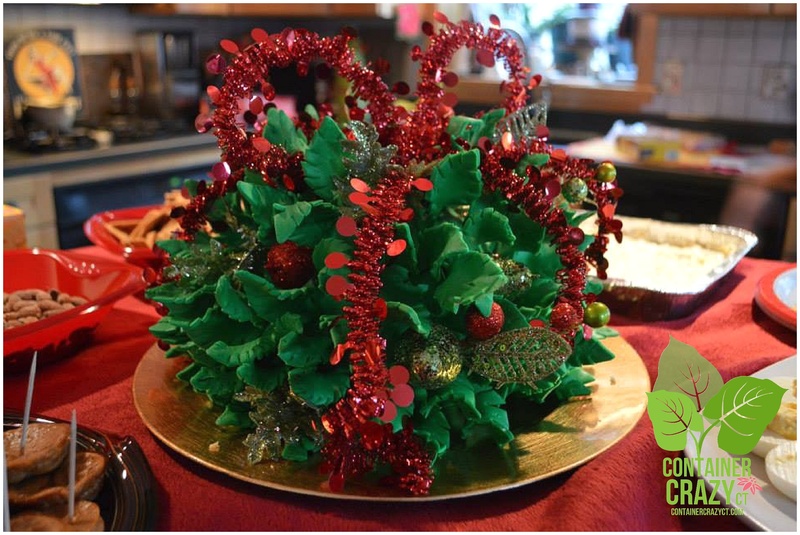 It all started when an idea popped into my head to hold a class on making holiday kissing balls, wreaths, and centerpieces using fresh evergreens after helping a friend assemble her kissing balls at her home. Each year, this class is coordinated with a mix of excitement, anticipation, and fears. What do I mean about fears? Well, when working in the plant world – because plants have the potential to be affected by any number of unexpected surprises, there is always that little bit of fear that something could go wrong. Just yesterday, I shared a link about a California tree grower experiencing a huge loss of holiday grown trees due to drought. Christmas trees take many years to reach the perfect stage for sale during the holidays, so image his disappointment when 500 trees were so badly affected by lack of rain fall, they could not be offered for sale this season. This is something he really had no control over because his trees were suffering from the forces of Mother Nature. But, most people in the horticulture trade learn how to roll with the punches, solve any unanticipated – or unwanted bumps in the road and move on quickly. And usually, they never give up either. On the day I drove to my suppliers to finally pick up my order of fresh mixed evergreens – a day highly anticipated and enjoyed every year around this time – a blip happened. When I arrived at their door, they told me a big portion of my evergreens order was not in yet. My reaction was not pure panic, because it was one of those – here we go moments, but disappointment set in. I have things to do and get done, and this would be a slight delay to deal with. As I questioned why and how quickly they could resolve this blip, suddenly, out of no where, a very pleasant gentleman showed up by my side. I had never seen him before and he reassured me all would be fine. He promised to make a special delivery to my house the very next morning. 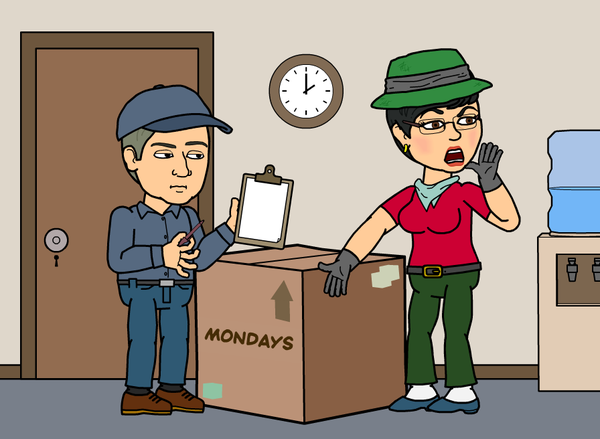 When I questioned him on the time of the delivery, he said they would be there by 8:30 am. Timing was important to me, just like Santa Claus on Christmas Eve, a great deal of planning goes into my special day – so I didn’t want this little storm to delay the gift of greens used in my class by all the Kissing Ball Makers. Thankfully, the next morning, one of his elves did show up, as promised — on time. “Phew.” I thought. All looked great and it was onto my next to do’s to prepare for the class activities. As I mentioned, I had never seen him before in all the five years I have driven to their place to pickup my evergreens. Was he an owner? Is he a new worker? He certainly was very attentive and saved the day. Perhaps!! To me he was at that moment – he made sure the delivery took place no matter what it took – typical of horticulture people – especially this time of year. 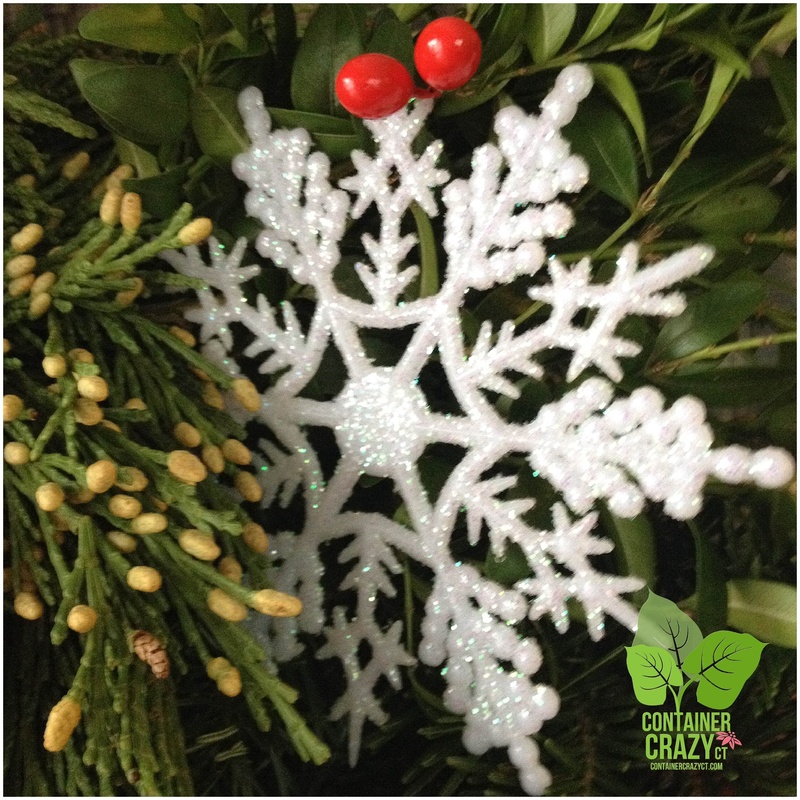 Making beautiful holiday kissing balls with fresh evergreens will happen yet again, despite those fears or blips which may happen from time to time in the plant world. 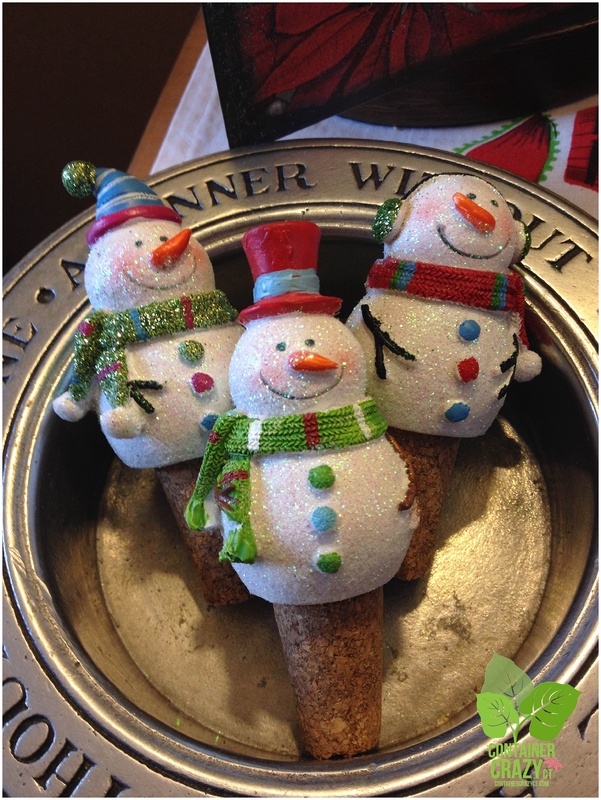 Snowmen Wine Stoppers – You know what these are for! We will be surrounded by holiday decor, warmed by appetizers and holiday cheer, and share our day with enthusiastic kissing ball makers. You may search the question: “How to make kissing balls?” via Google on the Internet, and you will find many videos and information on the how to’s, but you don’t get the holiday magic which happens in Container Crazy CT’s holiday workshop each year, unless of course, you are a fortunate attendee. See you all soon new and advanced Kissing Ball Makers! Sweeping up the floor of my classroom after an Evergreen Creations Class, a thought occurred to me. I should collect some of the smaller cut pieces which fell to the floor to make potpourri. And it was then I remembered, I picked up some mason jar covers at a Vintage Bazaar this summer with a precut pattern in them. They will be perfect. Using some mason jars I had in stock, I filled the jars with bits and pieces of the greens. It was amazing how quickly the scent permeated from the jar. 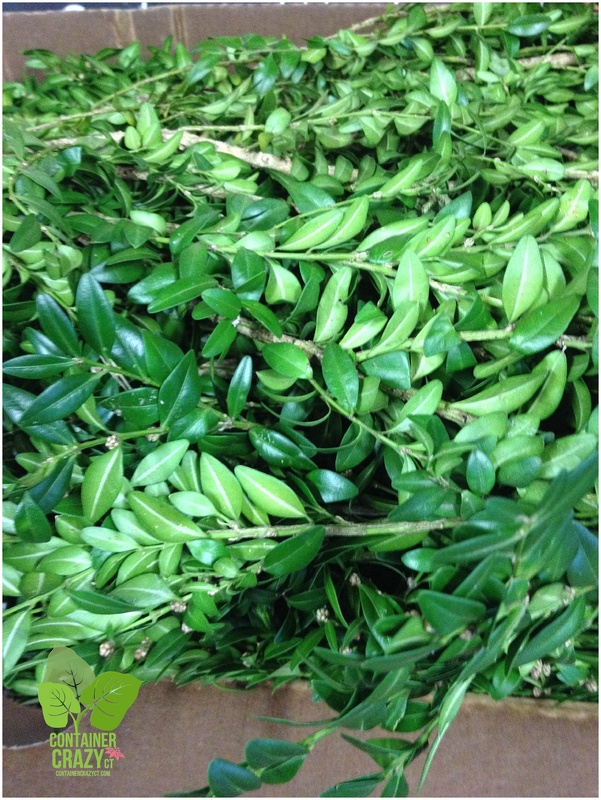 Most people enjoy the scent of freshly cut evergreens – especially because it brings back memories. Scent being one of the most powerful to remind you of something from the past. 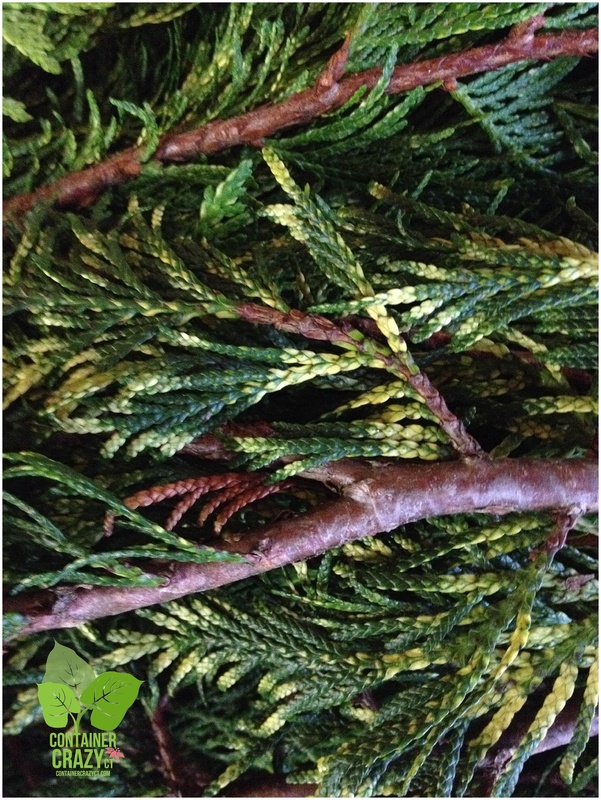 The Cornell Cooperative Extension has an article on their website which states the feeling of evergreen aromas perfectly. The steps are pretty straight forward. Gather up small snips and clips of evergreens, and put them into the mason jar. Make sure the cuttings are not wet because they will rot. Make sure the mason jar is not wet inside either if you washed it in soapy water prior. Add some preserved moss to the top for a decorative look or to eliminate any potential spillage from the cover of needles. Speaking of needles, got some on your table that fell off? Put those in the jar too. Add a couple cones to make it pretty. Perhaps a snip or two of holly with the red berries as well. I also placed one item on top of the preserved moss, like a single holly leaf. Cover it with a cover that has holes so the scent will release. Add a decorative ribbon or tinsel wire and perhaps an ornament. Keep in a cold place until you give to a friend, use as a table setting pieces, or put in a room to enjoy right away. Again, I set one down at one point after it was finished and realized as I was sitting there the scent was strong right away. I don’t think scented oil is required, but it is an option if you want it to last past the holidays. That same day, as I bottled up these cute and highly scented potpourri jars, a new friend, Cathy, attended my Open Studio Days, where by appointment you get the valuable one-on-one opportunity to learn how to make an evergreen Kissing Ball, wreath, candle centerpiece or other items for the holidays. Cathy called me up to inquire about my sessions and how they work. When I asked how she heard about my classes, she said she noticed some kissing balls hanging at a house in another town, but had never seen them in her area. She wondered how they were made, and so she Googled it, and found my appearance on the CT Style television program when I talked about making them last year. Homemade items are big on Cathy’s list – and I couldn’t agree more. She said it is so much more valuable and special for so many reasons. They are well-made (with love) and unique. This is absolutely true with kissing balls. 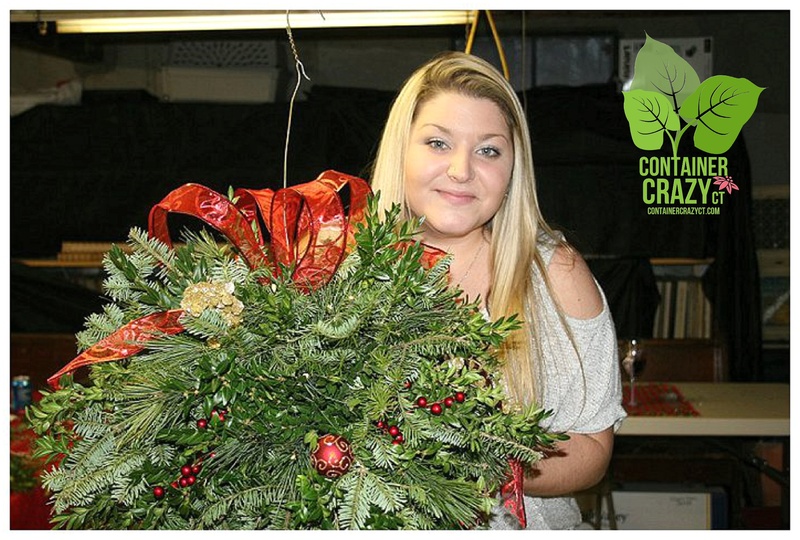 Each and every one made in my Evergreens Creations Classes are one of a kind. 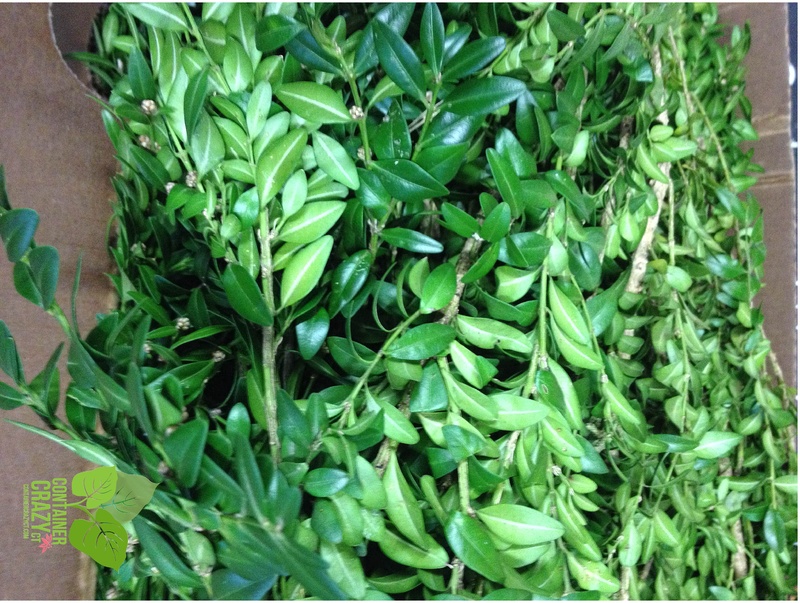 And mixed with lots of various evergreens creating amazing textures – and yes, of course, evergreen scents! So while Cathy worked on her kissing ball, I made a small wreath. Start by cutting your greens and batching them together with florist wire. 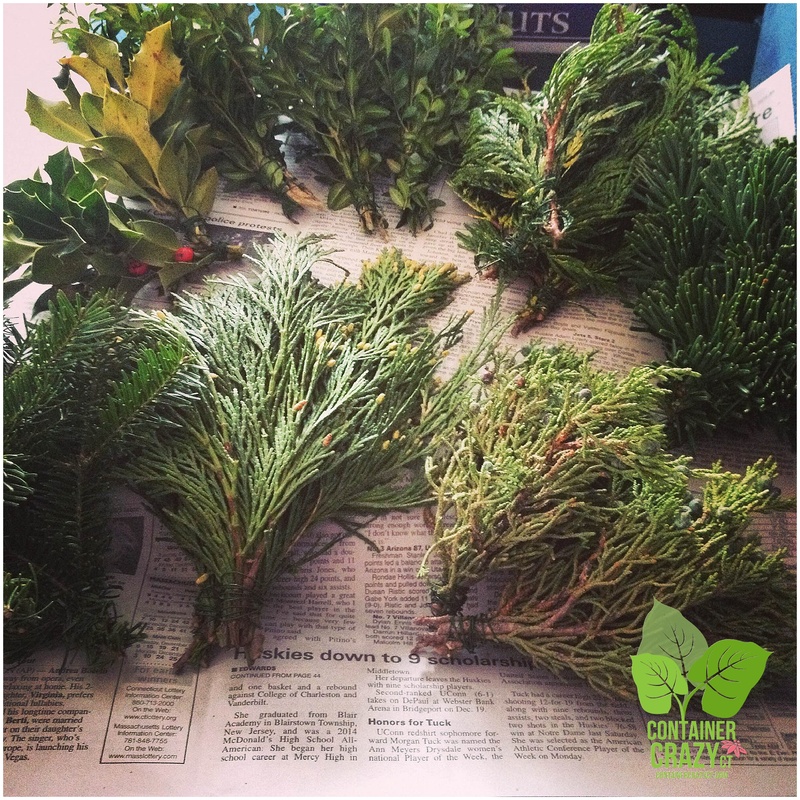 Use about 3 snips of evergreens for each bundle. 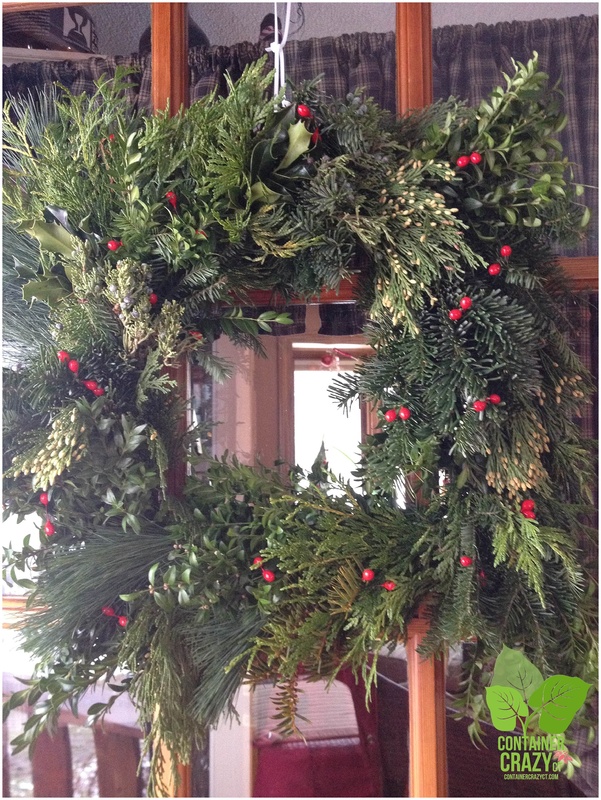 Remember to lay the most decorative green on the top layer, as done with the blue berried juniper, so it shows up on the wreath. Set your bundles aside. You will need at least 8 bundles. Each is twined at the stem end with green florist wire, wrapping around several times so they are well secured. 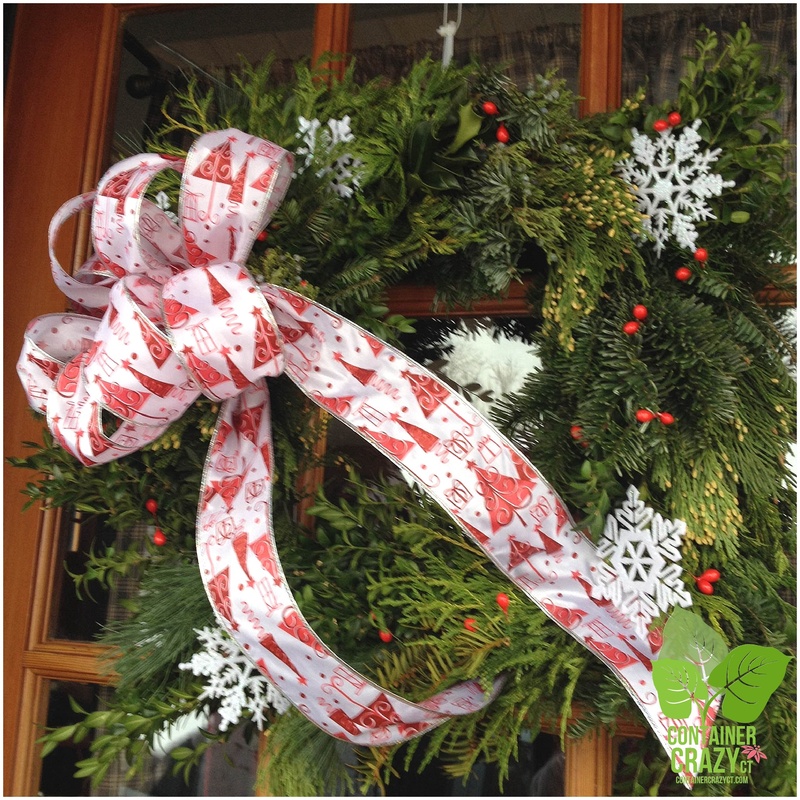 Attach the first bundle to your wreath with a zip tie. Why, you may ask – a zip tie and not the florist wire? Well, I feel it is really secure that way as the starting point. And the zip tie is easily threaded through the grape vine. Sometimes it is easier than using the wire. However, if you decide to use wire instead. Attach it to the grapevine for your first bundle. 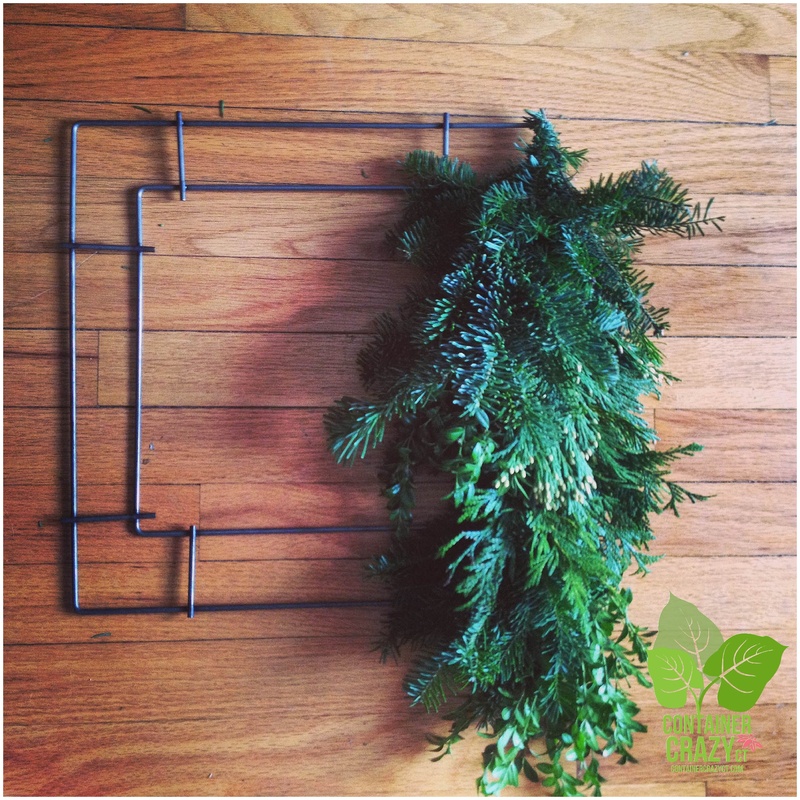 Keep the wire attached to the wreath as you continue around the wreath to attach your pre-cut evergreen bundles. You don’t have to stop to cut wire for each bundle. As you attach each bundle of greens, be sure to position it to cover the zip tie or wire of the previous batch. I started using my roll of green florist wire to continue. 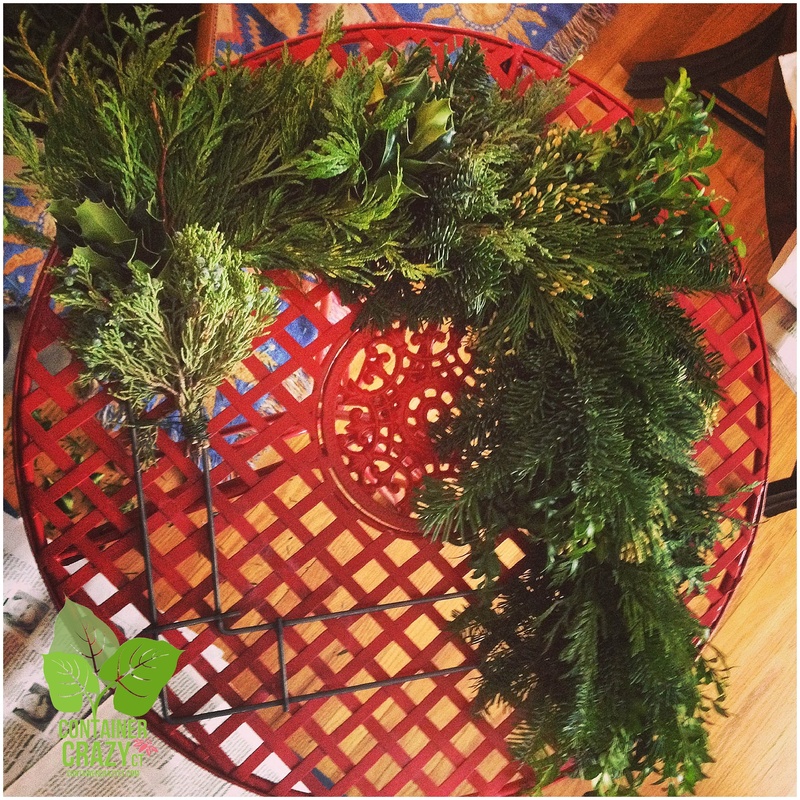 Keeping the wire attached to the wreath frame and winding it over the frame as I moved to the next batch of greens. 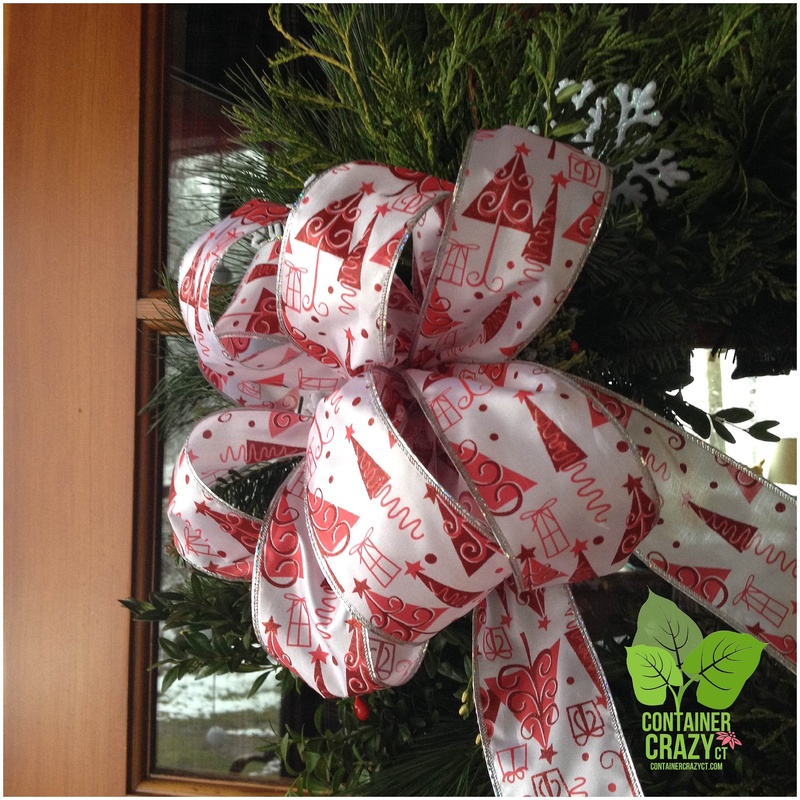 In between working on my little wreath, I would stop to help Cathy cut greens for her kissing ball. She was proceeding very well and had lots of questions. This is when I realized having the Open Studio Days enables more individual attention for the student versus the large class held on the first weekend in December. The large class is lots of fun, and it will remain in session every year – but should you be the type of person wanting more quiet time and some personalized help, the Open Studio days, following the Evergreens Creation Class, is your best option. Cathy and I spent 3 hours – yes 3 hours chatting and discussing upcoming holidays as we created. After Cathy was all done creating her kissing ball, we decided on a sparkly gold wide mesh ribbon. It went on the top with tails on the bottom. The tails included gold cord which made it more dramatic. This set the color decor theme for her kissing ball. We picked out small round gold ball ornaments to attach on the needles and a few decorative florist picks. And, we also added a new item I had in my decor stock called, golden rain. It is beautiful, thin long strands of sparkling gold which hangs from a central long pick. Inserting it on the top of the ball to drip over the sides really finished off the look. We both just loved it. Cathy considered adding some golden bows, but when she asked if she should, I told her no – I thought it was just right and too much might be overdoing it. She agreed. I think Cathy will be the talk of the town, because she said none of her neighbors have kissing balls. When the outdoor lights hit that ball, the sparkling from the golden decor will evoke the feeling of the holiday spirit, just as scents of the evergreens will do.